Do you wish to meet us? Our Electronic Cigarette and E-Liquid store at Cherbourg welcomes you from Tuesday to Saturday, from 9h30 to 12h30 / 14h to 19h. 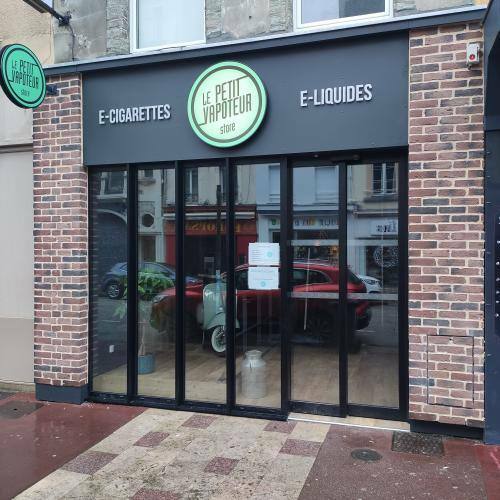 The Le Petit Vapoteur Team, our local from Cherbourg, like in all our stores, are professional and always up to date with latest developments. You can talk to our advisors, who will help you with chossing your equipment and your E-Liquids, even if you are a beginner or a veritable expert in Vaping. We also equally welcome you test our new products and taste the different surprising flavours of E-liquid before you jump into buying on-line.